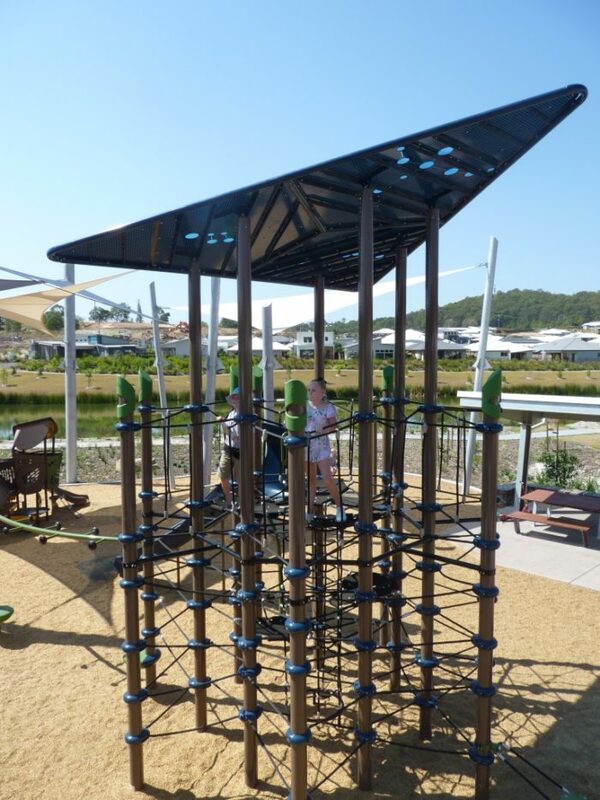 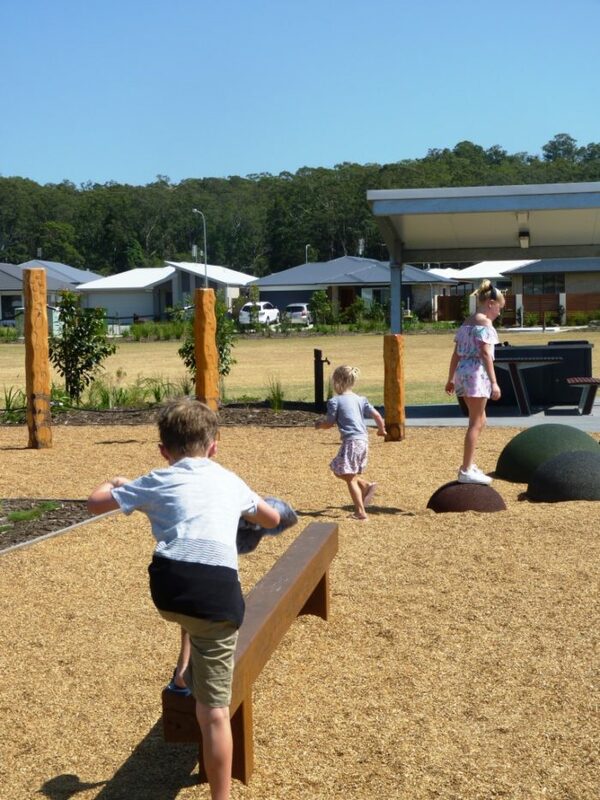 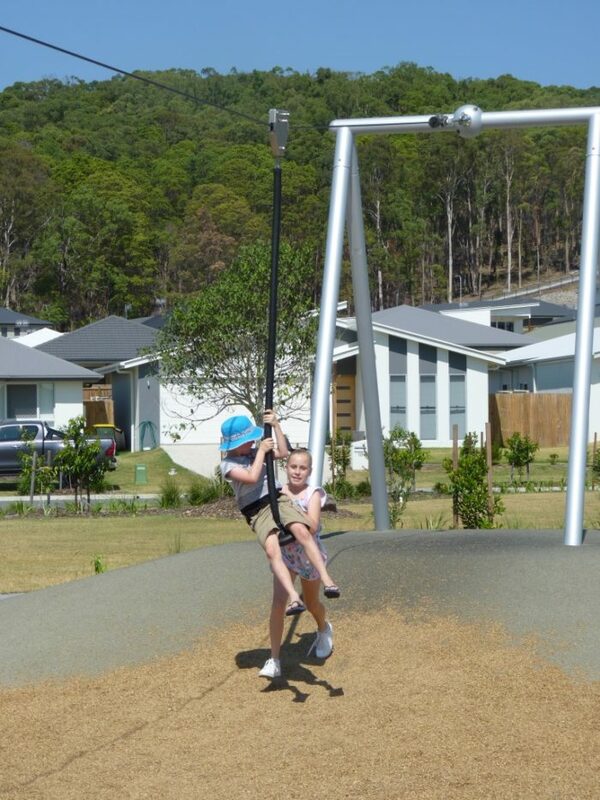 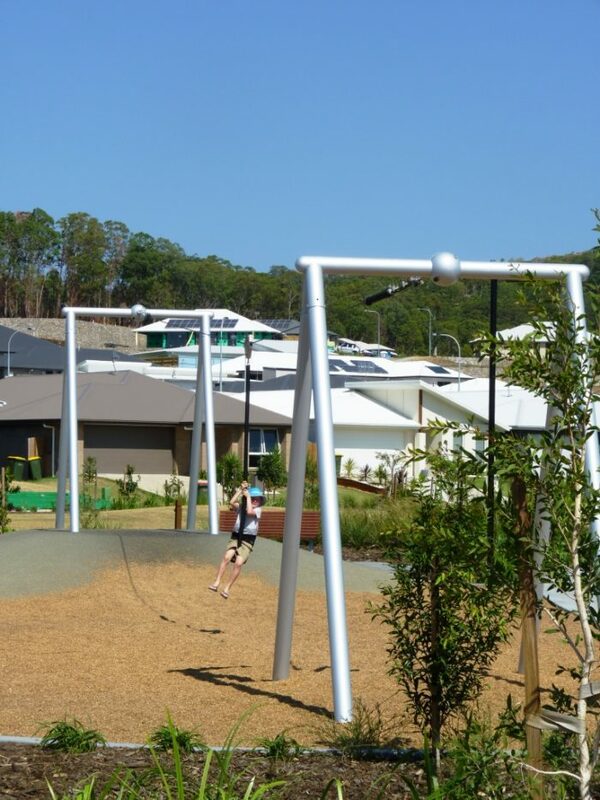 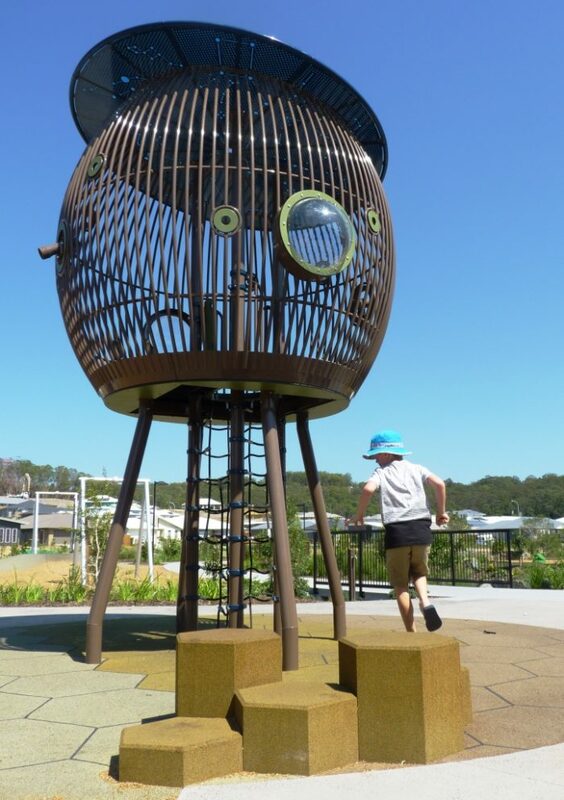 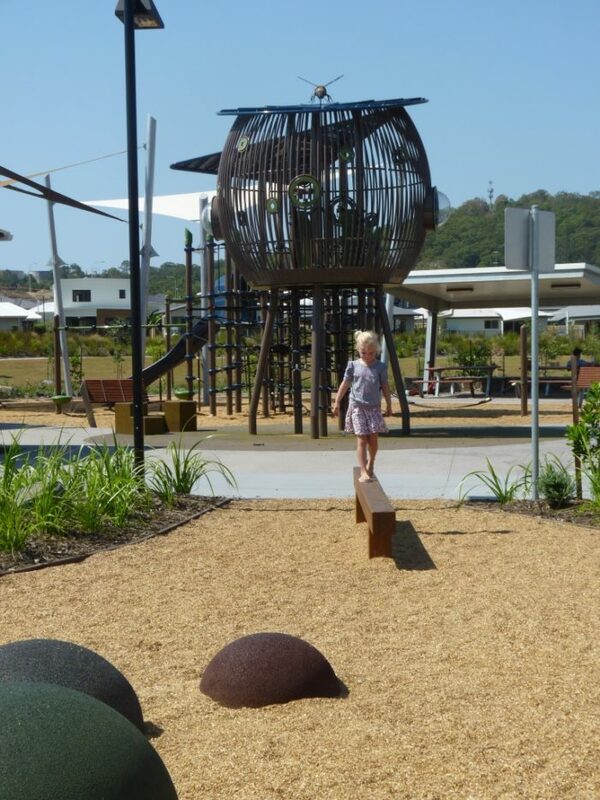 This custom designed playground at Parklakes II development at Bli Bli has been designed for children of all abilities to play, learn and grow together. 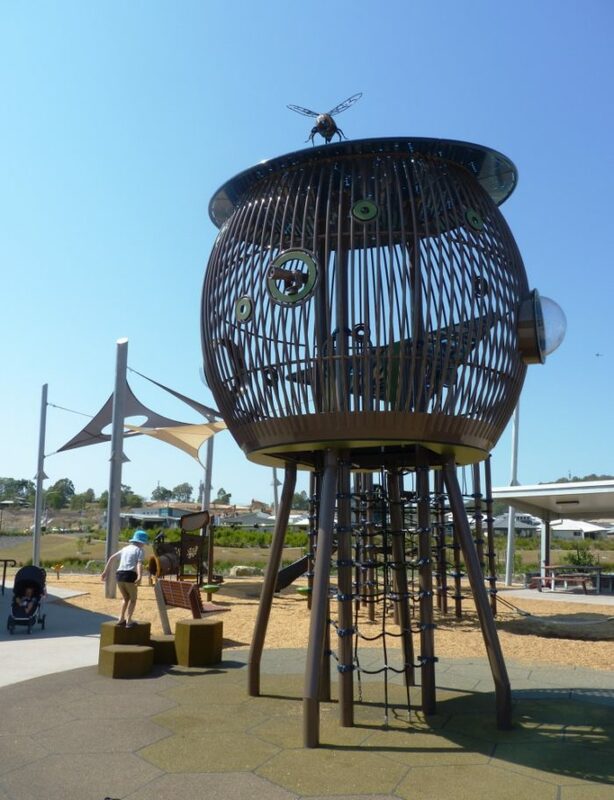 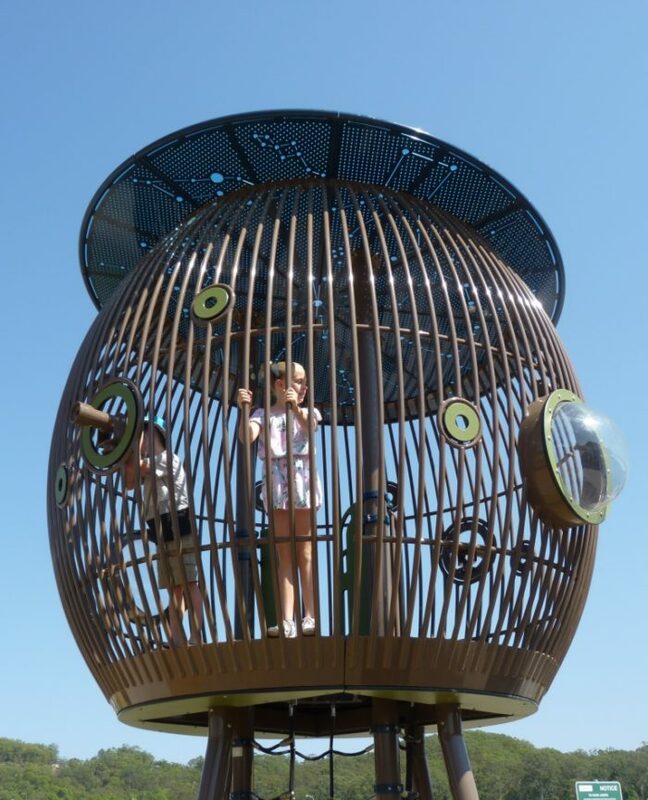 Located in a large neighbourhood park, the playground is connected by a pedestrian walkway network and nature trail, playing fields, shelters and lakes, encouraging the whole family to get outside and play, socialise and connect! 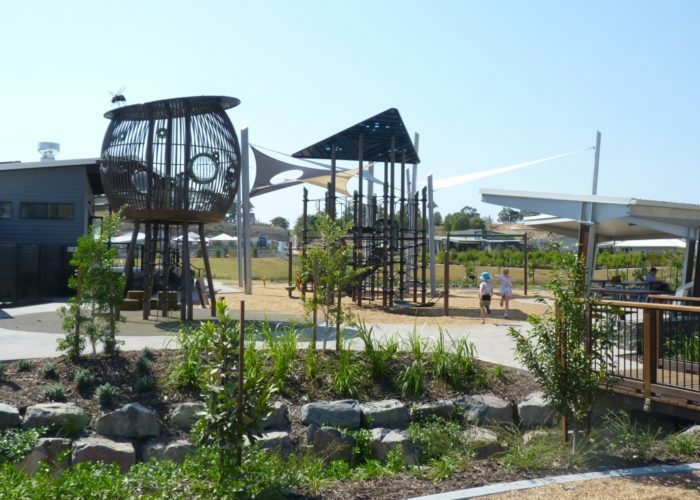 From an innovative developer, this space forms a central meeting place for the community with a cafe/tapas bar that will host live music and park activities that promote a healthy active community. 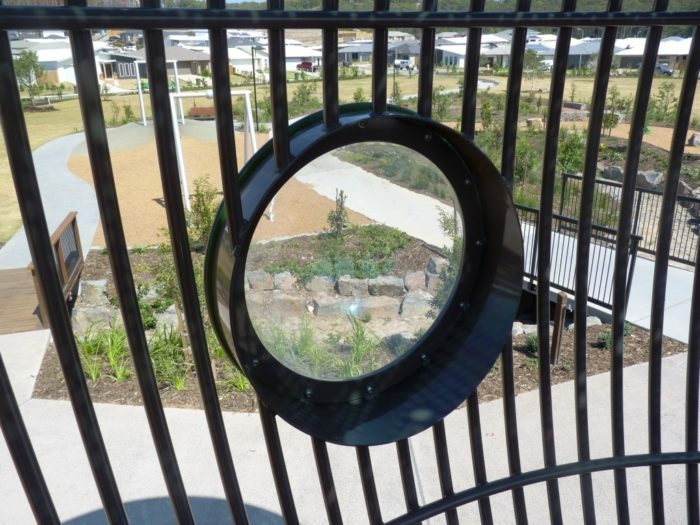 The adjacent lake boasts the accolade of being the worlds’ largest residential floating wetlands. 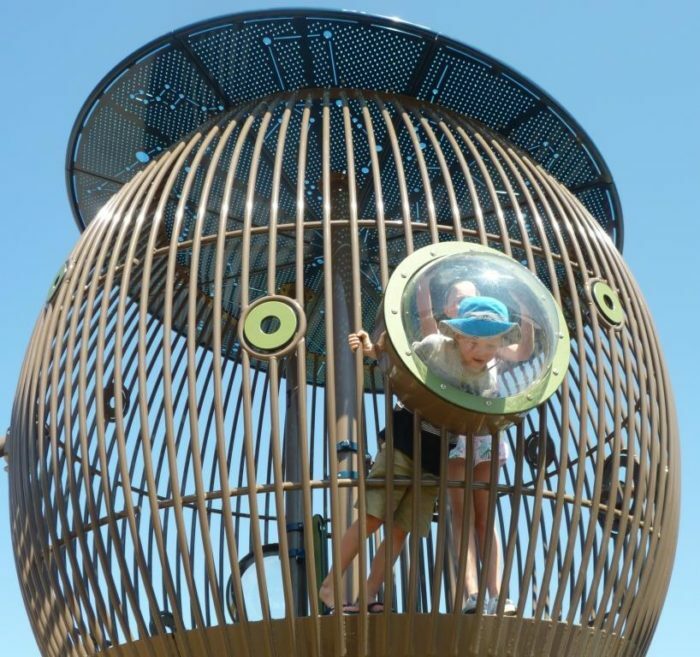 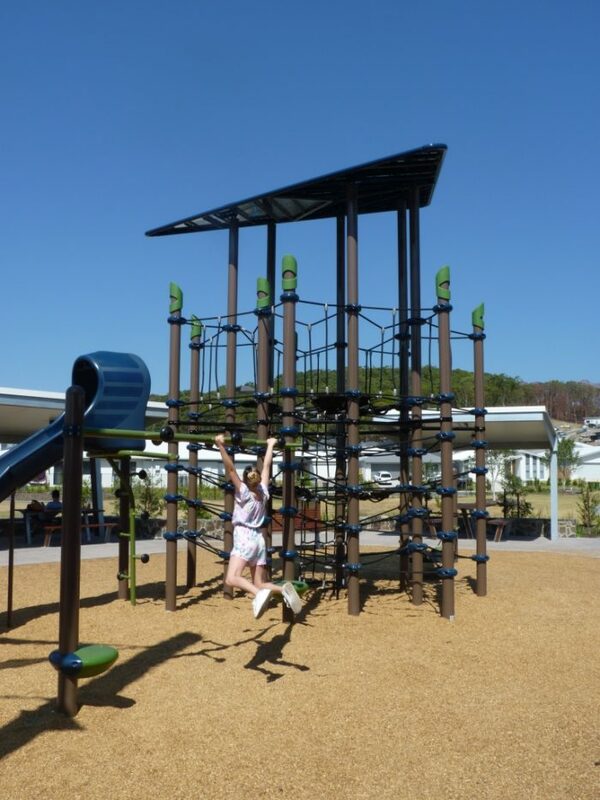 So it was no wonder that they invested in a playground that truly challenged its visitors – encouraging them to climb higher, to be braver and bolder, to find new challenges with each visit. 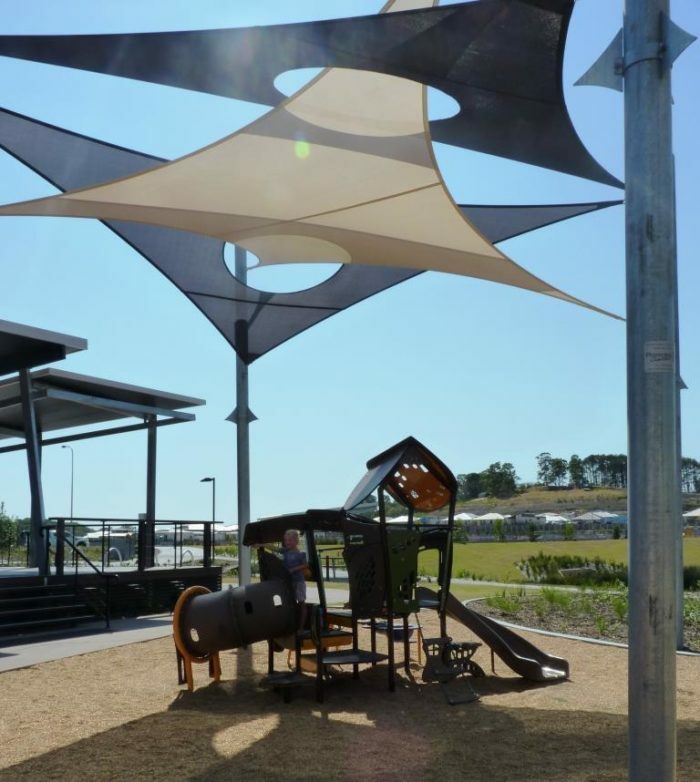 With a combination of shade sails and extensive plantings to provide natural shade and cool the overall space, this playspace offers such a diverse play experience across various “hubs” of play. 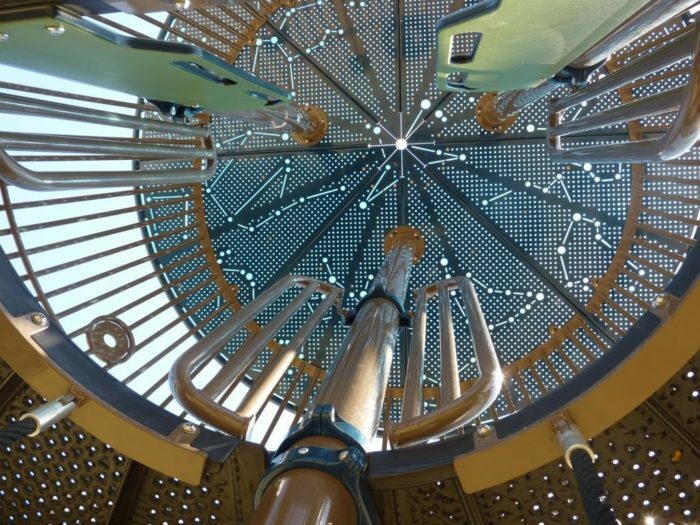 The focal points are the 2 custom play structures, including the “Bee Hive” and honeycomb steppers, and custom NetPlex unit. 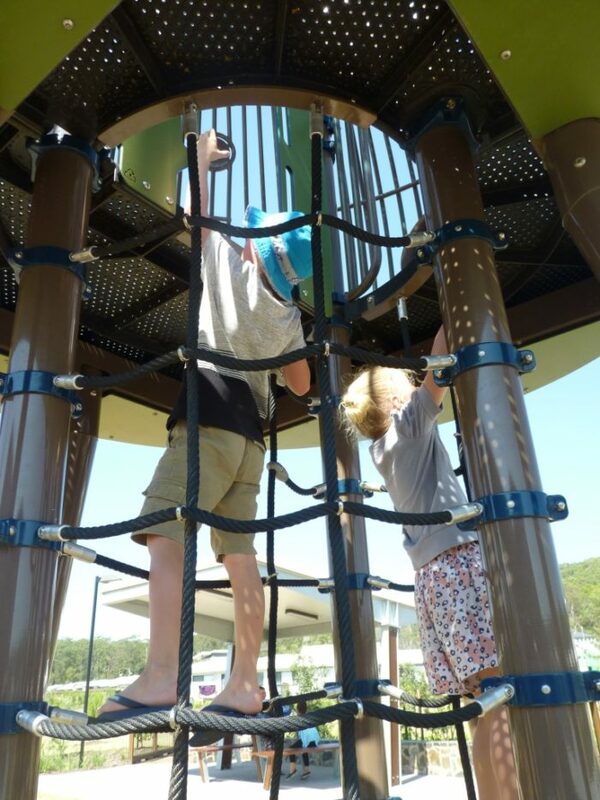 Climbing up into the BeeHive affords players views of the entire playground – a lookout and periscope, a hang out, a place to rest, and infinite climbing opportunities on the NetPlex unit promote non-prescribed play, upper body strength on the overheads and motor skill and coordination throughout the unit. 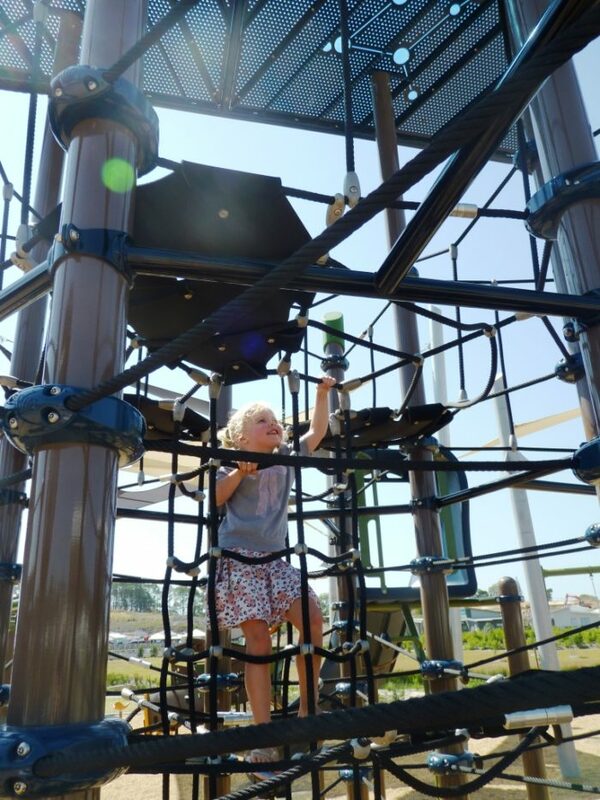 And for the younger players, the Smart Play Motion unit packs a whole load of play into its compact size with 16 different play panels and activities to ensure plenty of developmentally appropriate challenges to engage the younger years. 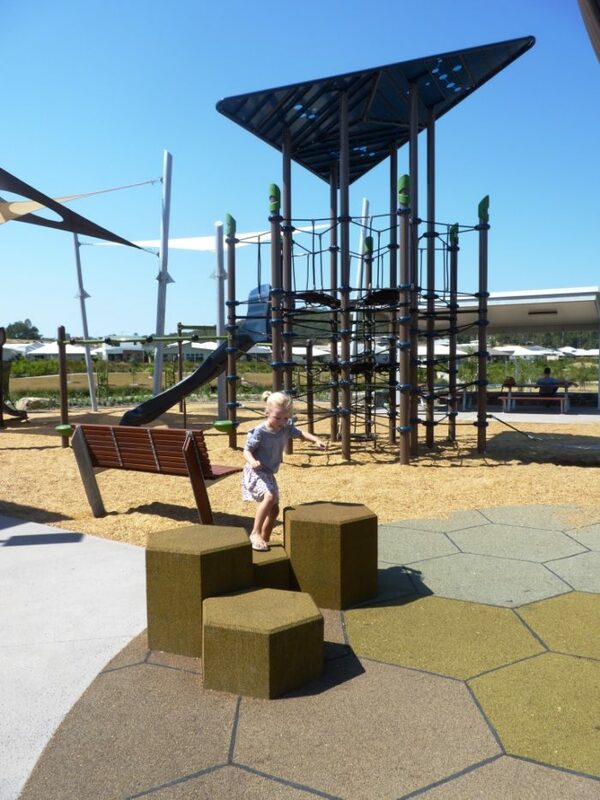 Smart design helps to create smart kids, but it’s also manufactured with a smart use of materials, utilising cutouts from panels to create other features on the unit – smart and sustainable. 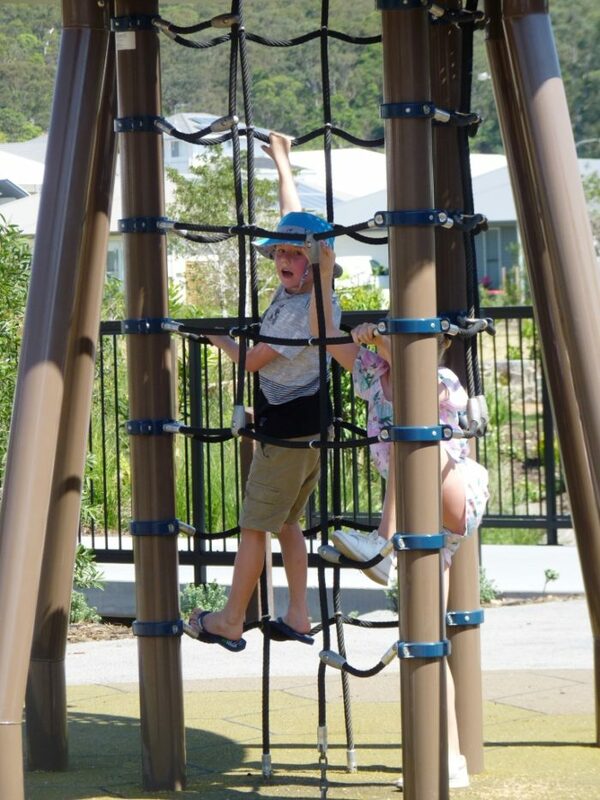 The discovery hub affords quieter play opportunities with among other things, lots of balancing! 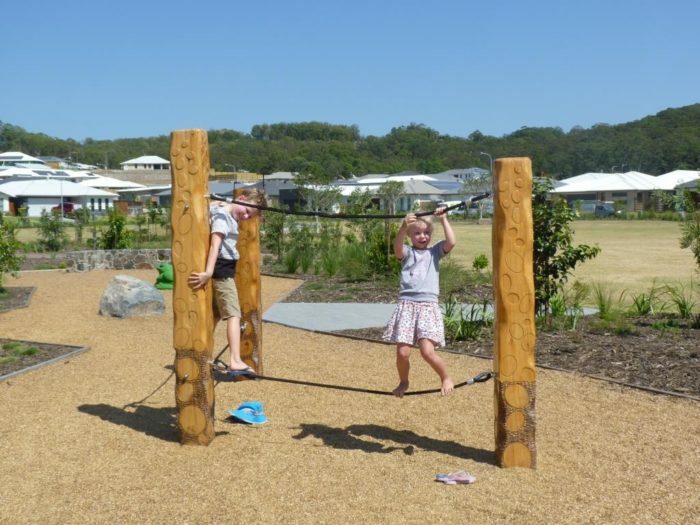 The wooden balance beam, balance and make up games on the rubber domes, balance and coordination on the rope run with hand carved Timber Totems – all opening out to the large open grassed area. 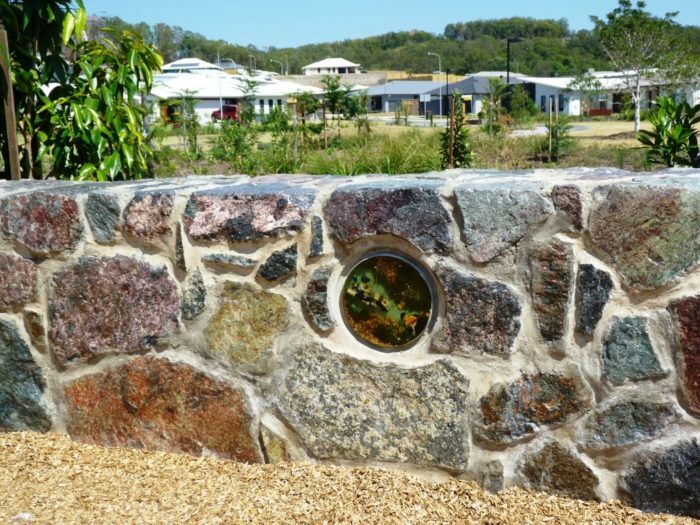 Resin Super Hero inlays in the wall and surrounds bring additional interest and discovery to the space. 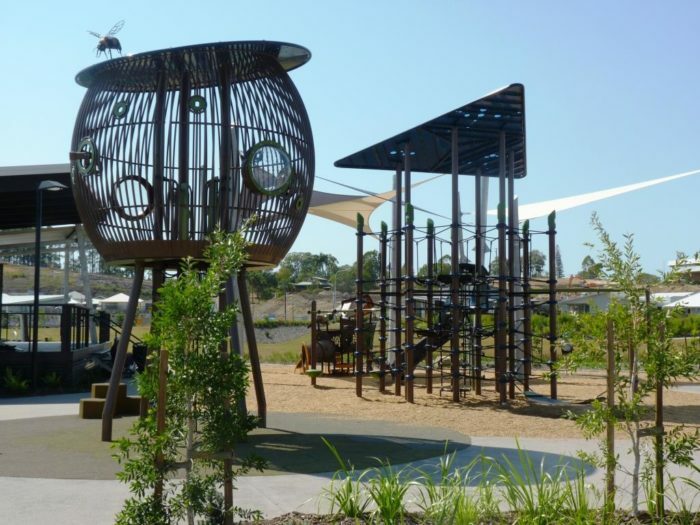 The design was a great collaborative process with Landscape Architect firm Covey Associates, with think tanks, idea boards and plenty of discussion to create a truly sensational park full of unique discovery. 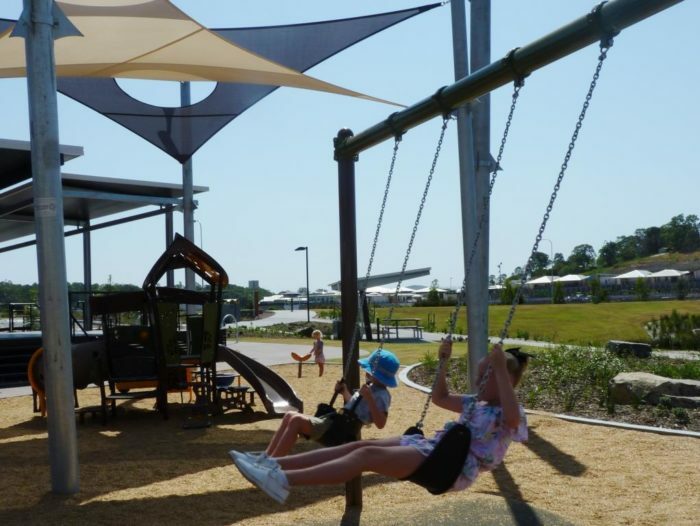 We think it’s paid off brilliantly – and have no doubt that local residents will enjoy this recreational hub for many years!